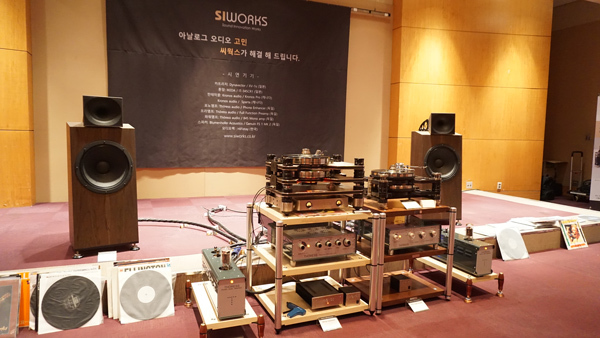 It was the first event held by SI-Works in Korea and the setup was really impressive: playing just analogue on a Kronos turntable. Louis Desjardins was there himself to promote the turntables and help with the setup. At the beginning of the show we cooperate from remote (communication over Facebook) in supporting the setup and that has been an amazing experience to get the feedback of Louis after making the suggested changes: he said that the sound became delicious and was so enthusiastic that tried to establish a connection with a greek tube amp manufacturer. I appreciated it! And it will have a good follow up. I do not know whether we already met or not, and if yes, then where. SI Works, is our new distributor for Korea. We are looking forward for the cooperation.